Just prior my reading the Ra Material: The Law of One five book series several years ago, synchronistically I came across an exceptionally thorough and well-written synopsis of the five book series published on the website Wikipedia, which unfortunately is no longer to be found to this day (reason for its deletion is unknown and unknown). I found this synopsis to be very helpful as a precursor in my studies of the Law of One as taught by Ra in this series. Fast forward to present time, I myself felt drawn to providing such a synopsis for those fellow seekers that are new to the material to help them feel more grounded with teachings from the onset. I hope you find the following synopsis to be supportive and helpful in your future studies. 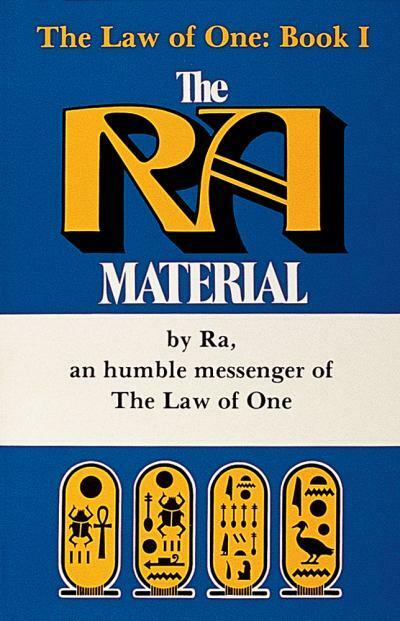 The RA Material: The Law of One, is a series of five philosophical monographs published between 1982 and 1998 by Schiffer Books. In the early eighties these books were authored by a non-human multidimensional being named Ra through the process of trance channeling, in which Don Elkins acted as the questioner, Jim McCarty as the scribe and Carla L. Rueckert as the channel for Ra. The dialogue between Don Elkins and Ra was recorded, transcribed, and edited by Jim McCarty to produce the five books. The five book series presents both commentary and full transcripts of the dialogue between the questioner and Ra, who is described as a being composed of an entire civilization of extraterrestrial beings that are fused into one unified consciousness (a social memory complex is a term used by Ra for a unified consciousness group). The introduction to the first book explains that the questioner is Don Elkins and that Ra is a higher density being (of higher consciousness). A sixth density life form of pure energy speaking through the body of trance channeler Carla L. Rueckert. 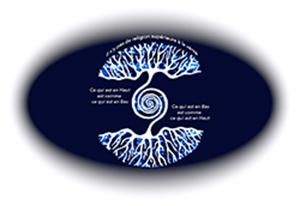 Carla L. Rueckert transmitted the material by entering into a non-conscious state (which the authors refer to as an unconscious trance) where she became a communication channel for Ra in order for them to communicate to our level of reality (our vibration) and answer the questions posed by Don Elkins. The answers were interpreted to be direct communications with Ra, which is in line with standard views on trance channeling. The books are written in a question and answer format. The Law of One is one of twelve universal principles according to a basic principle that all is One, that all things that exist are ultimately the same essence within many forms and configurations. The philosophy of The Law of One describes the big questions of life: why, how and where everything that exists comes from. As well as its place within the manifest of Creation. The five books explore this premise in relation to many aspects of life including philosophy, religion, spirituality, cosmology, anthropology, history, politics, physics, biology, geology, and the paranormal. The dialogues have been cited to some as a convergence of ufology and trance channeling where a human channeler is aligned with or in resonance with Ra, thus being able to act as a receiver for the vibrations (higher-wisdom/knowledge) emitted by the 6th density intelligence. The material describes, that Ra is a highly advanced race of multidimensional extraterrestrials who once visited ancient Egypt and assisted with the construction of the pyramids. In these books, Don Elkins, a Ph.D. physicist, university professor, and airline pilot found the apex of his lifetime of research into the UFO phenomenon through telepathic contact with extraterrestrial intelligence. For twenty years he had been working with various gifted individuals who would go into trance and speak on behalf of this higher intelligence. And time after time, Dr. Elkins would ask them the most difficult, challenging questions coming from the forefront of his research into advanced physics, and he would get the answers. These answers were repeatedly coming from those who had no knowledge of these things while conscious. It was at the end of this twenty-year period that Elkins’ work with Carla Rueckert broke through to a much more substantial level. This breakthrough was directly precipitated by the arrival of Jim McCarty, who thought that he was coming to help Don and Carla catalog, categorize and organize the volumes of material that they had already produced. Instead, something totally unexpected happened. They attracted a true master of the higher realms, perhaps the main group responsible for our care: a huge spiritual group of entities, that called itself Ra, and said that they were from the sixth density level of spiritual evolution, million and millions of years more advanced than humans today. As soon as Ra began speaking they made it clear that this was the first time that they had been able to get through an undistorted series of messages in thousands of years of human history. 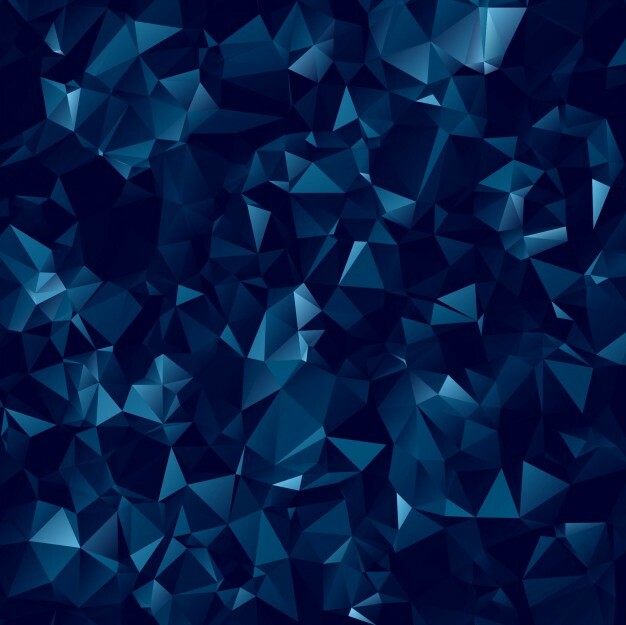 The words and concepts were highly sophisticated and precise, unlike any other type of channeled material ever seen, and were referred to by one professor as akin to a Ph.D. dissertation on epistemology. The book series articulates a non-dualistic philosophy according to which all things both spring from and are one with the source of the universe, termed The One Infinite Creator. Within The Law of One, The Creator is not described as an external entity, as Earthly religious texts present in order for men to understand. Instead, The Creator is rather an all-pervasive intelligent energy, that is both within everything that exists and without, thus the indivisible oneness that the philosophy describes. Underlying the perception of separation, utilized for learning, is an indivisible oneness. The Law of One states that this universe, one of many, was created by the One Infinite Creator—out of itself—by distorting its energy into the parts of existence called distortions. The process occurred one distortion at a time, in a specific order. The first distortion created by the Creator is called Free Will. And the third is Light. All other substance and form come from an interaction of these three distortions. Akin to a hologram or a fractal, each part of the creation is also the whole. As Ra uses the word, the distortion of Light can be taken to mean: energy/matter and knowledge/wisdom. Ra describes each galaxy as a creation of an intelligence called a Logos. The Logos creates many sub-Logoi, star systems (ie: stars and planets). One sub-Logos would be our Sun, for example. Another would be our planet Earth, another planet Venus, Jupiter and so on and so forth. The sub-Logoi, in turn, create sub-sub-Logoi. Human beings are an example of sub-sub-Logoi. Each Logos, sub-Logos, and sub-sub-Logos is a microcosm of the Creator. The Logos created seven levels of progression for spiritual evolution and Ra has called each of these levels a density. Even more importantly, this cosmology is not simply in the realm of lofty speculation – for all intents and purposes, Ra was systematically teaching Dr. Elkins about a whole new form of physics, a new form of understanding the way that the Universe functions, rooted in compassion, harmony, and wisdom. Commentators have interpreted densities in a variety of ways. Some have described it as a dimension, as in a higher dimension of experiential reality. A density differs markedly from the Cartesian notion of dimension. According to Ra different densities are associated with different levels/forms of consciousness and different phenomenological ways of being. The first density is the density of the elements (Earth, Water, Air, Fire) (In scientific terms: solids, liquids, gases, and plasma). The second density is the density of organic life: plants, animals, bacteria, etc. The third density is the density which human beings inhabit. It is the density of self-awareness. It is also the density of duality, through which the individual chooses their polarity of service. The fourth density is the density of love or understanding. And like all subsequent densities, the density of love is inhabited by mind/body/spirit complexes of a higher level of spiritual evolution than human beings on present day Earth. The fifth density is the density of light or wisdom. Wherein long and deep contemplation and introspection are practiced so that one’s own wisdom may spring forth and the entity may become refined to an even higher degree. The sixth density is the density of unity consciousness, where love and wisdom are united and where all other polarities are united. In Earth history, sixth density is the density that archangels come from, as described in various texts. The seventh density is the gateway density, the last density before mind/body/spirit complexes merge back into the Creator. The eighth density is the beginning of the next octave. Where the journey begins again. Ra tells us that humans are composed of a mind, a body, and a spirit, and therefore would refer to an individual human as a mind/body/spirit complex. Ra says that humans, along with the Earth, are going through a process called harvest. This included statements that there are many other living beings in the universe that are similar to humans but differ in the body, intelligence, culture, and spiritual evolution. These beings, like humans, are referred to as mind/body/spirit complexes. Ra describes that individuals from other densities have incarnated on Earth to contribute to the harvest. Ra expressed that all mind/body/spirit complexes, after being formed in third density, progress upward through the densities as they evolve spiritually until they become one with the Creator at the end of seventh density. This evolution is accomplished through incarnation into a body. Many times, until the soul has completed the lessons relevant to each density. Incarnation only occurs within 1st, 2nd, 3rd and 4th density. A physical body is no longer necessary beyond the end of 4th density. From 5th density and beyond, the body is purely energetic in nature. In order to progress from third density to fourth density, individuals must make a choice between two polarities of service. Service to others or service to self: or in ordinary language, between altruism and selfishness. The purpose of third density is to make this choice. The purpose of experiencing the sometimes harsh environment of 3rd density, no matter which location in the universe, is for each soul to make this choice of service and thus progress. As entities evolve, they progressively balance and unblock their energy centers which directly correspond to the chakras. The Law of One series includes an extensive discussion of these energy centers. - Muladhara is called red-ray. - Svadhisthana is called orange-ray. - Manipura is called yellow-ray. - Anahata is called green-ray. - Vishuddhi is called blue-ray. - Ajna is called indigo-ray. - Sahasrara is called violet-ray. Additionally to this, humanity and the Earth are undergoing a transition from third density to fourth density. This transition is linked to a process called harvest. This involves a quantum leap within our physical reality, said to occur approximately 30 years from the time of the 1981 Ra dialogues. One of the dialogues mentions a general time frame of 100 to 700 years for transition on Earth from third density to fourth density. Moral choices are discussed through the concept of polarity. Ra explains that there are two polarities: service to self, and service to others. These two polarities approximately relate to the everyday concepts known as light and dark, evil and good, or selfishness and altruism. Service to Others is described in terms of an energy center configuration where the green-ray center radiates out toward other beings. This results in compassion, love feelings, and acts of service toward others. Service to Self is described in terms of an energy center configuration where the green-ray center is pointed mainly inward. This energy center configuration causes the entity to feel love for itself, but not for others. These feelings lead to self-serving intentions and actions, or service to self. Ra views the Earth as a living being that has a mind, free will, and grows over time both physically and spiritually. He explains that the Earth is currently in the process of changing from third density to a fourth-density planet. A big part of the series covers the (intuitive) study of the local Logos’ archetypes, which are highly reminiscent of the work of Carl Jung. Ra states the Tarot system originates from Ra’s home planet, Venus, when Ra’s civilization was at 3rd density level, long ago, and that the Major Arcana of the Tarot was used as a general referent and means of studying one’s own progress. Originally, the Major Arcana was just a conglomerate of archetypal images that were supposed to be memorized. It is only later, when introduced to Sumerian and Egyptian civilizations, that the Tarot system came to get settled into the card format it is today. The Archetypes are divided into three groups (1. Mind 2. Body 3. Spirit) of seven with the twenty second archetype being the same as the zeroth, which Ra names The Choice. The book series centers around the harvest, which is described as a major spiritual and physical change that will occur on Earth around the year 2011. Consider year of channeling session where Harvest is mentioned whilst adding thirty years as mentioned in session #6 of the book series (shown below). The harvest was one of the earliest mentions in modern times relating to the eschatological 2012 phenomenon. The Law of One book series has influenced many published authors, in various fields. New York Times bestselling author David Wilcock has cited in his books and lectures the Ra Material: Law of One book series as seminal in the formation of his understanding of the nature of reality as well as the cause and drive for higher understanding. The Law of One has been described as the most widely cited set of channeled materials and it has been influential in the development of spiritual concepts such as polarity, spiritual evolution through densities, and wanderers.